Ancient capital Kraków is known for the Wawel, an impressive castle/cathedral complex from which the country was once run, whilst Warsaw is of course known for what happened here during the war. But what about charming Gda?sk, the maritime city with a medieval heart and easy access to the Polish Baltic coastline? Nature-lovers shouldn't forget about the Carpathian Mountains, dotted with open-air ethnographic museums and old wooden churches, whilst Poland also boasts nine national parks; from the lake-district peace of Mazury to the stunning, snow-capped Tatra Mountains. The best places to stay in Poland will vary depending on your reason to visit. But we have a wide selection to suit everyone from chic city centre pads to design hotels in the heart of the countryside. Dramatic history, impressive architecture, wonderfully heart-warming food, vibrant cities with life and soul, plus unspoiled countryside. Many travellers are aware of some of Poland's appeal, but not everyone can see beyond the visible reminders of its complicated history (and that goes for pre-WWII, too). If you're looking for more than just a city break then it's worth trying to visit both Poland's major cities, and after that to head off exploring some of her natural beauty. Bia?owie?a is a good place to do the latter. This is Poland's oldest national park with pockets of truly ancient forest, and also the original home of the European bison - Europe's largest land mammal. Mazury, the 'great lakes district' is another beautiful sight, with its rolling, green hills and mirrored lakes, whilst there are also plenty of charming little villages to choose from here. If you're visiting Poland for the country's dramatic scenery then the alpine Tatras will be more to your liking, with their towering peaks and steep, rocky drops. Kraków is home to Europe's largest main square, dating back to the 13th century and filled with beautiful architecture that's a delight to all visitors. Warsaw also has a similarly stunning square, the Old Market Place, though it's slightly more colourful. Either way, they're both top spots! History buffs will love a trip to the resplendent Malbork Castle (about 70km south east of Gdansk), built all the way back in 1274, or the Gothic 14th century Wawel Castle in Krakow. If you want to truly take in Poland's past then visiting the infamous Auschwitz-Birkenau is a must. The most notorious of German WWII concentration camps, it's an incredibly moving, if harrowing, experience. The Wieliczka Salt Mine, located on the outskirts of Kraków, is a truly jaw-dropping spot. Believed to be one of the world's oldest companies, with salt having been mined here continually since the 13th century, it features an entire underground city carved out of rock salt - even boasting chandelier lighting and a variety of sculptures! With such a wide variety of locations to choose from, have a ponder over what you're looking for before browsing through our list of the best places to stay in Poland. Warsaw may not be as beautiful as Kraków or Gda?sk, but the energy and determination it took to rebuild the Polish capital after it was flattened during WWII is still inspiring today's Warsaw. As well as being one of the best places to learn about Poland's dramatic history, Warsaw has Poland's most impressive museums, lively nightlife and an annual cultural schedule packed with interesting events. The Rialto offers five stars with authentic Art Deco styling, and rooms start from just £68 per night - yes, Warsaw is a great city break destination if your budget is limited. 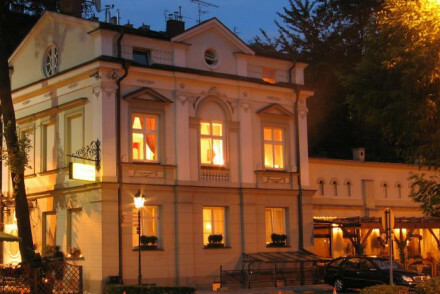 For serious foodies one of the best places to stay in Poland has to be Le Regina, with its Michelin-starred restaurant. But the elegance of this former palace, located on a quiet street in the New Town, is just as appealing for many. The Hotel Bristol is another grand Art Deco delight - well located for Warsaw's main sights, the Royal Castle and the Presidential Palace. H15 Boutique Hotel belies its rather traditional facade to offer uber contemporary apartment-style suites. Featuring sharp Italian designer furnishings and a restaurant serving international cuisine, it's a fantastic city stay. Autor Rooms is an intimate option, boasting just four rooms - all of which are light, airy and incredibly chic. Superbly located right in the city centre, it's a first-rate option for those wanting to see Warsaw in style without breaking the bank. Kraków has always been Poland's cultural heart, and it was the royal capital for 500 years. But losing its status to Warsaw is probably what protected Kraków's beautiful Baroque, Gothic and Renaissance architecture from the ravages of WWII. Many of Kraków 's historic treasures can be found around the main square, and any time spent strolling the streets fanning out from the square will turn up art, artefacts and architecture of the most beautiful varieties. Hotel Wentzl overlooks the main square, so it's one of the best places to stay in Poland if you prize a view. Brimming with traditional elegance, you'll fall in love with the charming rooms, whilst the restaurant is also top-notch. Hotel Grodek's quiet location, gorgeous interior and excellent restaurant make it an ideal choice for couples. All the necessary ingredients for a splendid city break. Hotel Pugetow is a lovely traditional converted townhouse offering seven reasonably priced rooms. Enjoy dinners in the incredibly atmospheric vaulted cellar. Set in a 16th century townhouse, Hotel Amadeus, Krakow features wonderfully Baroque interiors that'll transport you back in time to another era! With an excellent restaurant, a spa and an unbeatable location, it has everything you need for a superb city stay. Hotel Copernicus, whilst being at the upper end of the price range, is an utterly delightful property. With charming details from Renaissance frescoes, atmospheric Gothic rooms and an indoor pool in a vaulted cellar, it's bound to please. Hotel Pod Roza is located in the centre of Krakow's Old Town and oozes traditional elegance but with chic, modern bathrooms. Boasting two restaurants, guests can also come back after a day out sightseeing to relax in the spa facilities of the nearby Stary Hotel. Maltanski Hotel is a superb value-for-money option. Their unfussy rooms are traditional and comfortable, starting from just £70 a night including breakfasts, whilst family suites are also available. Wonderfully traditional, the elegant Hotel Polski offers opulent rooms featuring antiques and frescoes. A splendidly romantic stay in a superb location - and all this at an extremely competitive price. 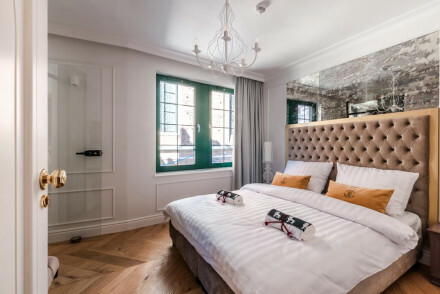 Located across the river in a quieter part of town, Hotel Benefis boasts chic contemporary accommodation featuring modern artwork on the walls. Rooms start at £68 and you can tuck into meals in the cellar restaurant. Cracowdays Apartments offers superb value-for-money apartments in the Old Town. With exposed brick walls, beamed ceilings and crisp furnishings, you'll be astounded that accommodation starts at just £68 per night! A real gem, especially for group trips. 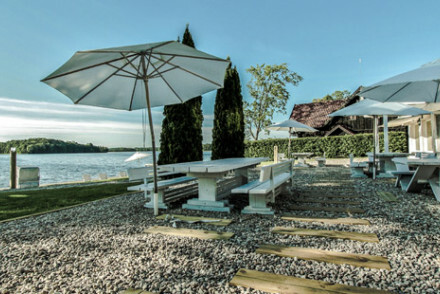 Galery69 on the edge of Lake Wulpinskie is a modern masterpiece with panoramic views over the lake, a well equipped spa and plenty nearby for active folk to get their teeth into. If you're after something totally fresh consider Blow up Hall 5050, a completely novel hotel which is part art installation, part high end design hotel. Their totally unique contemporary spaces all offer the most high tech of mod. cons. The ultra-trendy Puro is a boutique spot located in central Gda?sk. You'll love their chic, modern interiors, whilst the restaurant and bar are also great places to kick back. A wonderful option for a fantastic city break! 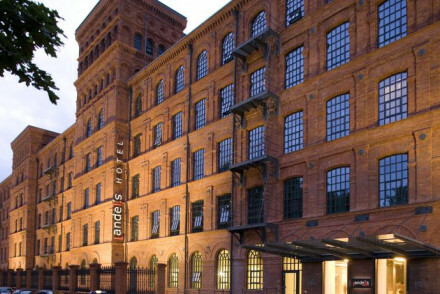 Chic, contemporary and incredibly fashionable, Andel's Hotel, Lodz boasts contemporary accommodation in a former textile factory. Come back from sightseeing to unwind in the spa or go for a dip in the pool. Poland is warmest in the summer months, from June to August, with temperatures ranging roughly from 20-25°C. But be warned, you may encounter stormy rainfall at this time, and, as it's peak season, accommodation will be pricier than at other times of the year. Visiting in the spring or autumn is always a good bet - you can enjoy decent weather, whilst it's also quieter and cheaper than in the middle of summer. Most international visitors fly into Warsaw Chopin Airport, served by direct flights with Ryanair from Stansted, Wizz Air from Luton, as well as LOT and British Airways from Heathrow, and many other national and international carriers. Alternatively, you can fly into Krakow Airport - with Ryanair flying from Stansted and Edinburgh, British Airways from Heathrow and easyJet from Gatwick. Both airports are well served by public transport links to their respective cities and the areas surrounding them. Browse through our list of all the best places to stay in Poland. Widen the net to include our recommendations for the best places to stay in the Czech Republic or in Slovakia. Unique setting in a small 19th-century townhouse. Individually decorated rooms with traditional elegance - creams, pastels, mahogany furnishings. Dinners and conferences are arranged in the atmospheric vaulted cellar. Well situated to explore the city. Local exploring - A charming historic property right in the centre, within a castle complex, ideal for submerging yourself in the old town. Sights nearby - Positioned next to the 19th Century Pugetow Palace. Modern, unassuming hotel. Separated from the traffic noise of the major streets, it is a perfect location for families with children. Comfortable contemporary rooms with statement pieces of art. Atmospheric cellar restaurant. Walking distance to many of the main sights. City Style - A chic hotel located in a quiet are of the city but close to many of the sights. Sights nearby - Walking distance to the Royal Wawel Castle. A renovated 15th century house in the heart of Gdansk. Rooms are decadent with antiques and polished wooden floors. Featuring an in-house museum and library. Car, bike and kayak rental can be organised via reception. A unique place that's oozing with charm and history and amazing value for money. Writing a novel - Amongst the antique relics and battered old manuscripts, through the archways to gaze at the murals... inspiration. Local exploring - Next to St. Mary's Basilica and in the same vicinity as the Prisoner Tower and Torture Chamber. Kayaking - Kayak rental can be organised via the hotel. 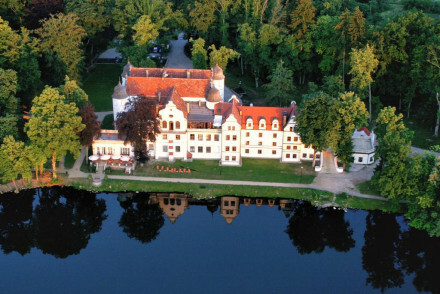 An 18th century castle set in the heart of Gdansk, boasting a picturesque riverside position. Rooms are traditionally dressed with rich hues, antique furniture and large floor to ceiling windows. Dine at the elegant restaurant serving regional dishes. Ideal for a quintessentially Polish experience. Local exploring - Located in the heart of Gdansk with easy access to the city's main attractions. Sights nearby - Visit the impressive Roman Catholic St. Mary’s Church and enjoy the views from the astrological clock. Local markets - Scour Long Market for local produce and artefacts. A refreshing boutique hotel with Five Star status. Art Deco interiors combine attractive artworks and contemporary classic furnishings. Attractive rooms and suites with all the mod cons, a state of the art spa, and fantastic restaurant. A stylish choice. Sights nearby - Chopin Museum or the Historical Museum. Great walks - Go to Lazienki Park. A bright and airy four bedroom townhouse B&B. Spacious rooms boast stunning contemporary design and interiors complemented with plenty of period features. 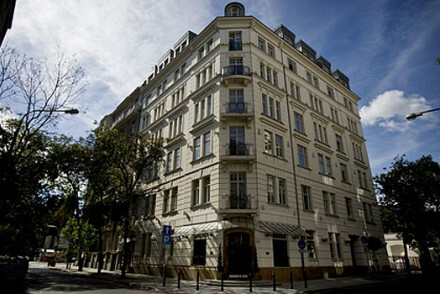 A fantastic location in the heart of Warsaw, surrounded by bars, cafes, shops and galleries. Perfect for a chic city break. Local exploring - Situated in the heart of the city, perfect for exploring all of Warsaw's highlights. Sights nearby - The whole of Warsaw is easily accessible either on foot or via the trams, metro and buses. 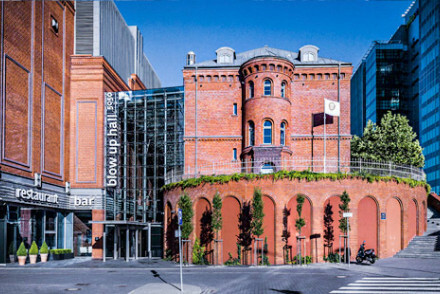 An uber trendy hotel in a converted former Poznanski textile factory. Smart design mixes contemporary style with traditional features. Enormous domed windows take precedence in the rooms which boast wonderfully contemporary bathrooms. A gorgeous indoor pool and spoiling spa. A chic urban retreat. 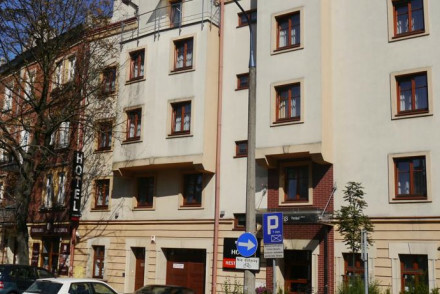 Local exploring - Well located in central Lodz withing walking distance of many sights. A show stopping hotel on the edge of Lake Wulpińskie. Handcrafted interiors with minimalist flair reflect the hotel's stark setting. Art-infused boutique rooms with pale woods and private balconies. Wonderful terraces overhanging the lake, delightful food, and fully equipped spa. Views - Panoramic views from the terrace. Roof terrace - Spectacular rooftop terrace bar. Designer - Locally sources handiwork and modernist flair. A completely novel hotel that combines interactive art installation with high end design. Contemporary spaces, none the same, feature all the mod cons and high tech visual art. A concept hotel for art lovers and adventurers. Quirky - Half interactive art project, half high-design hotel. Luxury - Top Hotel 2009 Award for polish hotels. Designer - A collaboration between the founder Grażyna Kulczyk and Rafael Lozano Hemmer, a Mexican-Canadian electronic artist.